Our three-point review process assures that your transcriptions will be processed quickly with a 99% guaranteed accuracy rate. 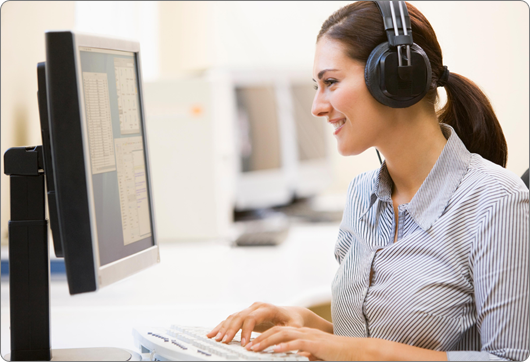 Our flexible, secure dictation options let you dictate from any phone, Internet connected PC, or by uploading an audio file directly into an online transcription console. Once you review and sign off on your completed transcriptions they can be stored in your secured digital records or exported into your patient management system. Transcription services have never been easier or more affordable! 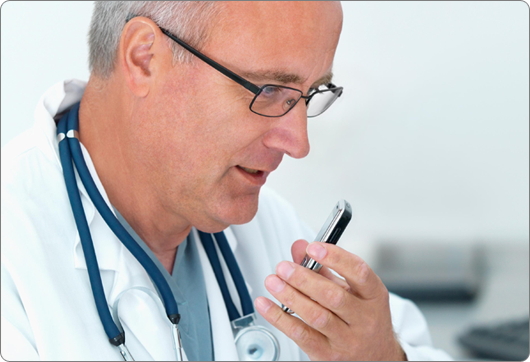 Since the physician's dictation record is one of the most important aspects of the patient's clinical notes, healthcare providers must have transcription that is free of errors and done quickly. By combining advanced state-of-the-art technology with enhanced medical transcriptionist productivity, we've been able to streamline the medical transcription process and achieve quality that is unsurpassed in our industry. This has resulted in our being able to provide a service that is highly efficient and competitively priced. There is no capital investment required, no software to purchase and no contracts. That's why so many healthcare professionals count on ScripTeam for their medical transcription needs. Our transcription process is quick, easy and accurate. Simply dictate directly from your iPhone or digital recorder. We'll process your transcription and you can access it from anywhere and anytime. We interface with many popular Australian electronic medical records systems. 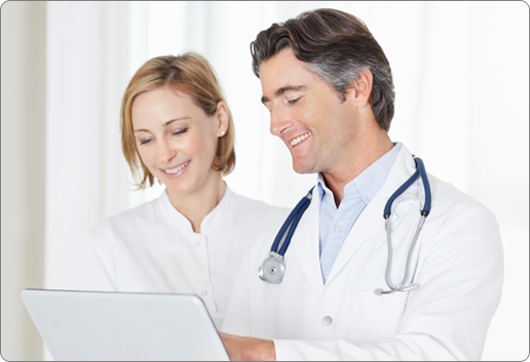 Automatically transfer a patient's transcription file directly into your electronic medical record with a click. We guarantee a 99% accuracy rate starting from 24 hours (for scheduled uploads). Our exclusive processes enable us to deliver amazingly accurate transcriptions. A quick 4-hour short turnaround option is also available. We understand that security and privacy are vital. ScripTeam meets and complies with Australia's Privacy Act 1988. Our system uses 128-bit encryption technology to safeguard your data during transmission. © 2012 ScripTeam ABN 59 697 186 827. All Rights Reserved.